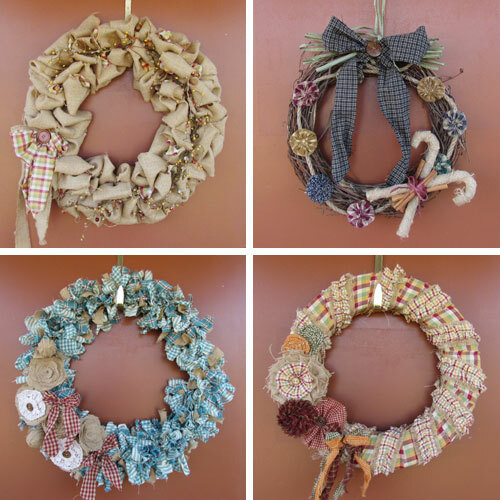 'Tis the season for holiday door decor! 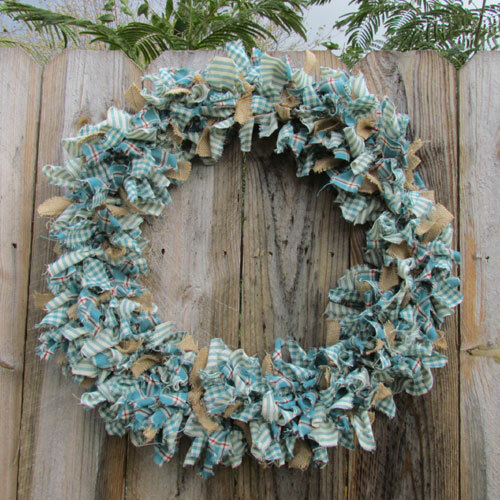 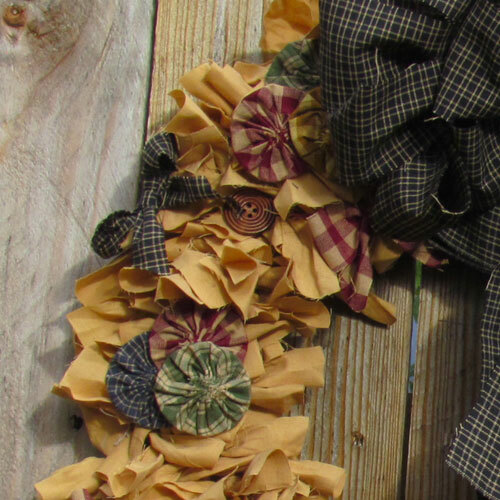 Look at all the beautiful fabric and burlap wreaths we've been making in the studio this Fall! 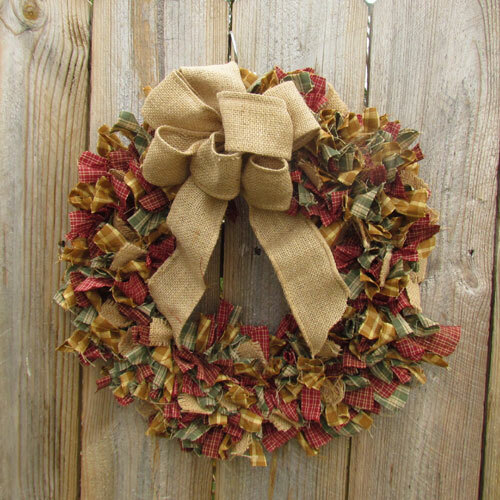 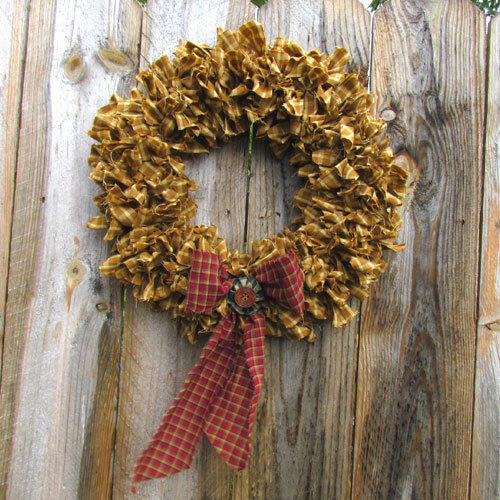 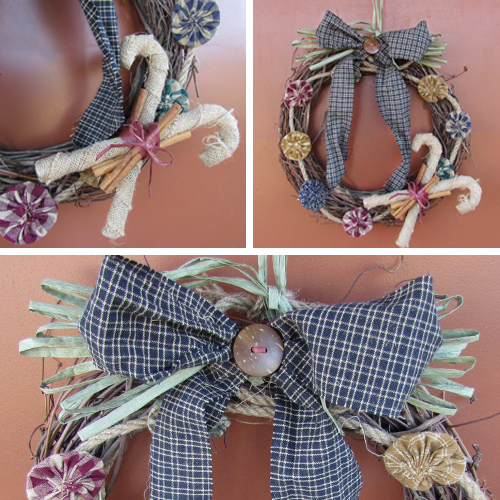 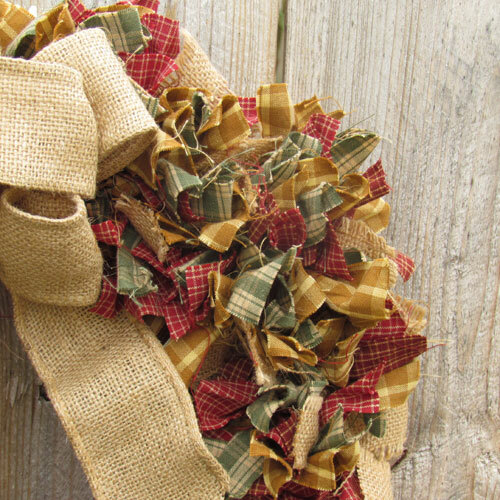 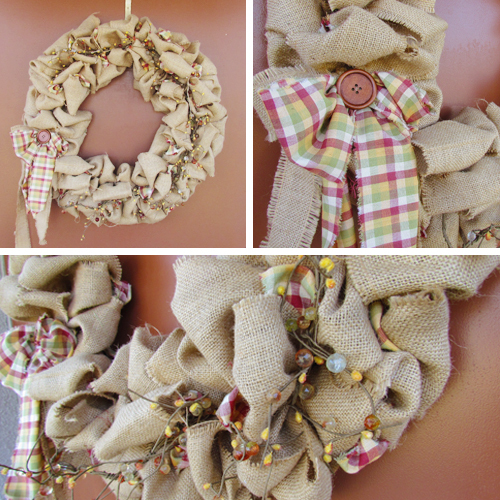 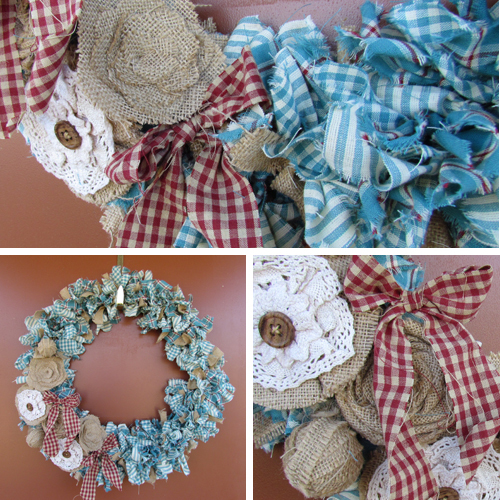 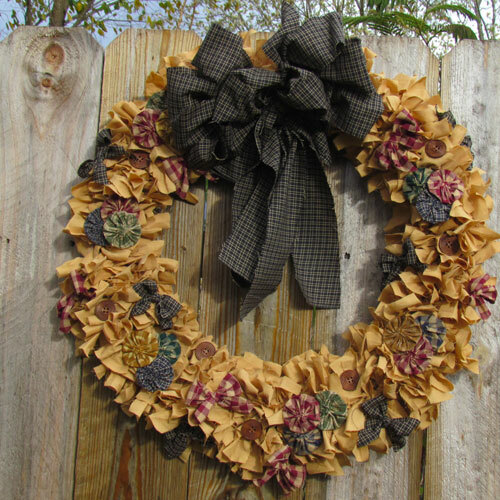 See the links below for Fall and Christmas wreath tutorials on our Rags-n-Rhinestones blog.